Extended Results now has a Windows 8 beta of Insights Social Performance Management solution. Insights brings a social experience to your business intelligence data within your enterprise. When you first enter Insights, you are greeted with a background theme that is customizable kind of like Bing backgrounds. We show you your Favorite KPIs along with Movers. Movers are KPIS that are trending up/down at a higher percentage than other KPIs. You also get a quick glance at active comments on KPIs too. Quickly we get you to your favorite KPI’s which are color coded based on your targets. Tap into a KPI and immediately see the trends and comments. Comment back on the KPI status or you are one tap away from calling the KPI owner via Microsoft Lync. Immediately you will see the related reports to the KPI so you can drill into the details if you need too. Tap on the related report and quickly drill into any URL based report. One more tap and we’ll take it full screen. 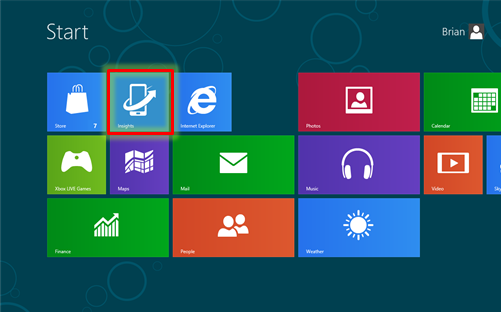 And, swipe down the Charms in Windows 8 are shared with associates. Want to get access to all the KPIs and Reports you have access to? Swipe down from the top and Tap KPIs. That’s very interesting! I’d love to try it out on my exopc tablet running windows 8 Consumer preview. Is there any way to get a demo or something like that? Is it connecting on SSAS ? Pingback: New Google Glass App for your Business with PUSHBI. #googleglass #mobile #bi #analytics #bigdata | Extended Results, Inc.